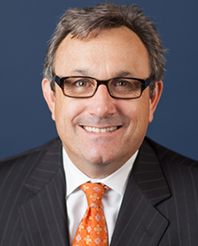 Andrew Giacomini (Managing Partner) has been Hanson Bridgett’s Managing Partner for more than 10 years. Under Andrew's leadership, Hanson Bridgett has grown to be in the top 10 firms in Northern California and expanded its operations to Sacramento and the East Bay. Andrew was a driver of the firm's push into the sustainability field and is a thoughtful leader in sustainable business practices. Andrew also spearheads the firm's government relations practice. In this capacity, he serves on the Executive Committee of the Bay Area Council and is the Chair of its Government Relations Committee. Andrew assists firm clients with significant strategic initiatives, especially those that have important political components.